Technically excellent while individually forged by hand from solid wire, Steel brackets represent all that is best about the hand making tradition. 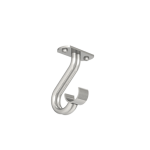 Ceiling brackets form a useful alternative to face fixed brackets, where fixing areas are restricted or the pole is to be fixed as close to the ceiling as possible. 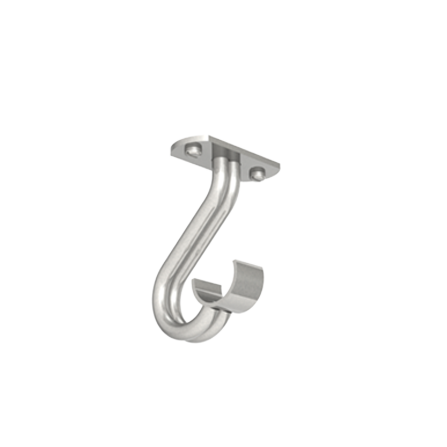 This ceiling passing bracket is designed to allow rings to move past the bracket position, when used in conjunction with passing rings (sometimes referred to as c-rings). The brackets are forged in steel and welded for maximum strength.